Note: I love the Hayman’s team and they kindly sent me some samples, but as always, I’ll let you know what I think. 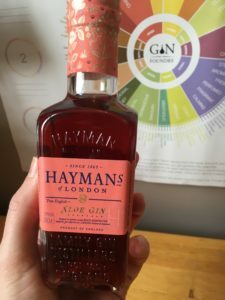 You’ve hopefully already read my thoughts on the Hayman’s London Dry and Old Tom gins, and today we are trying their sloe gin. A lot of sloe gins can be too sickly sweet which I find a bit cloying, so it will be interesting to see how this fares. To make their gin they steep wild harvested sloe berries in their London Dry gin for three to four months using, as always, a traditional family recipe. Sloe gin is generally seen as a winter drink, but they suggest pairing it with some sparkling wine for a different take on a kir royale style cocktail. Opening my little bottle and a rich, cherry-like fruityness comes out, it doesn’t smell too sweet or sticky. A sip of it neat and you’re instantly transported to Christmas; rich fruits and sugar draw you into a world of fires, cosy jumpers and fluffy slippers. As sloe gins go, it’s very easy to drink – it keeps a level of dryness that a regular gin would have but with the jammy quality to lift the flavours. Adding a touch of prosecco to this would be the perfect accompaniment to an afternoon of board games and a big cheese board. However, as it is currently ‘summer’ I am lengthening this with Franklin & Sons Sicilian Lemon tonic. The sourness and acidity cuts through the fruit perfectly leaving it well balanced. 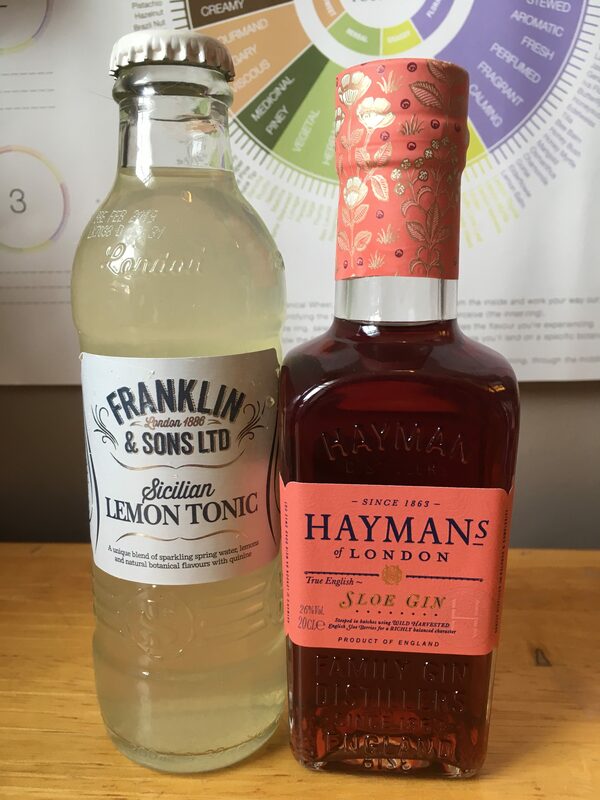 With other sloe gins, even using lemon tonic can still leave a syrupy viscosity in the mouth and coating your throat, but this just leaves traces of sweetness across the tongue and leaving just a clean, refreshing taste. You can get your hands on a 70cl bottle of 26% sloe gin from the Hayman’s website for £26 a bottle. As with all of the Hayman’s range, this is great value for money. You can find Hayman’s on Facebook, Twitter and Instagram. Have you tried the Hayman’s range? Let me know your thoughts on Twitter and Instagram.